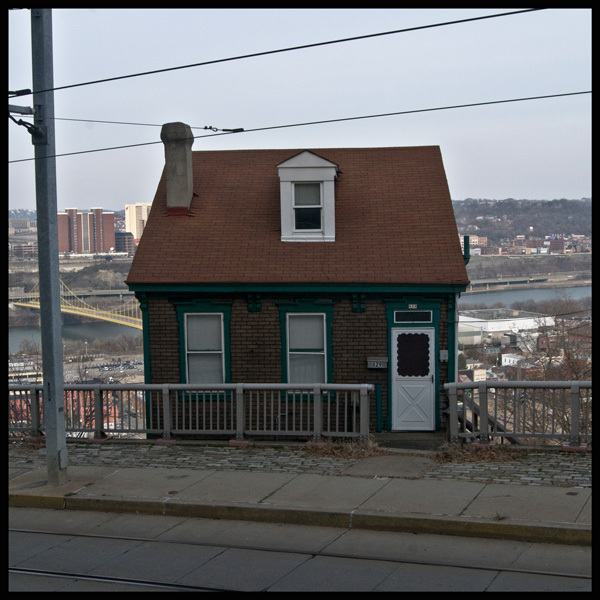 I walked about sixteen miles around Pittsburgh last Thursday before the big meal, and one or more of them was all the way down Arlington to the Monongahela Incline, hoping to take a couple pictures of these houses impossibly situated along the busy road on the edge of the cliff. The coolest one is being renovated and had a big ugly dumpster in front of it, but this one is still pretty cool. What a view! Pittsburghers who live like this always seem to be adding floors and extra porches to their homes. Who can blame them.